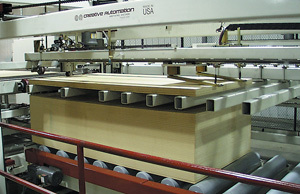 Laminating Automation Equipment: Part of Creative Automation’s Processing and Material Handling Machinery for the Woodworking Industries – Creative Automation, Inc.
For more than four decades, Creative Automation has designed and manufactured material handling equipment for high speed laminating lines. 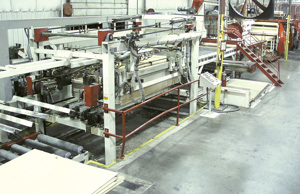 Laminator infeed system optimizes panel flow. 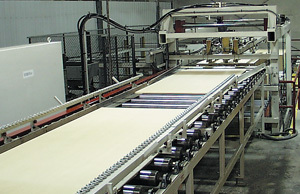 Stacker gently sets down panels onto the load, avoiding damage often caused by sliding material.